Tree Ownership which like a Tree - its only gives to world its lives. ​Tree as an Eco-product of a new Era, naturally limited and unique. "When you buy a tree, you save it from cutting down and get all the benefits of real ownership of a valuable tree!" Welcome to "Tree Owners Club"! We made it to highlight the concept of Tree Ownership in general - its value for the world in whole and limitless benefits for You as a "Tree Owner", or each of the parties - land-owners, new tree-owners and all else between. The idea, being clear, simple and highly demanded, still in a slow progress, however the Tree also grow without rush. 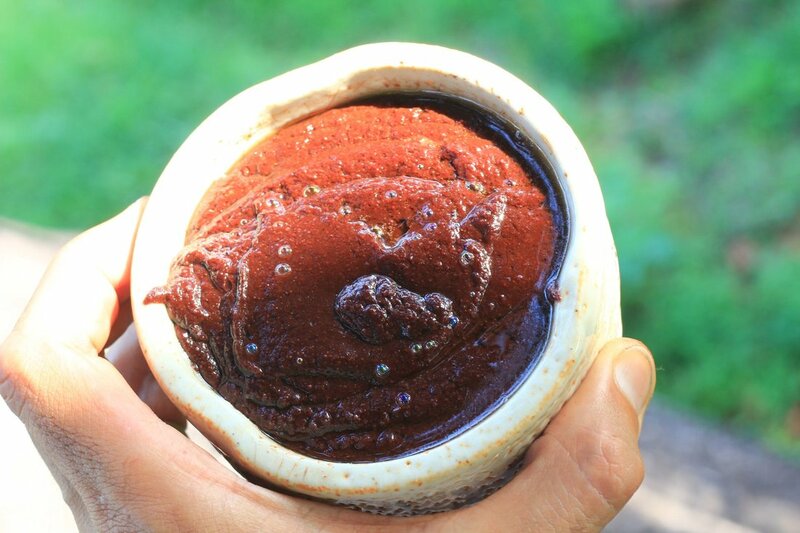 Starting from Live trees of Cacao, now we apply our skills and polished terms to valuable holy trees of Rudraksha, aiming to save them and provide care with maximum merit for the new owners and whole Being. We exploring trees, which grows in attractive places, perfect for relaxing holidays, and contacting with the land-owners to inform them about such a luck they've got - usually they surprised. 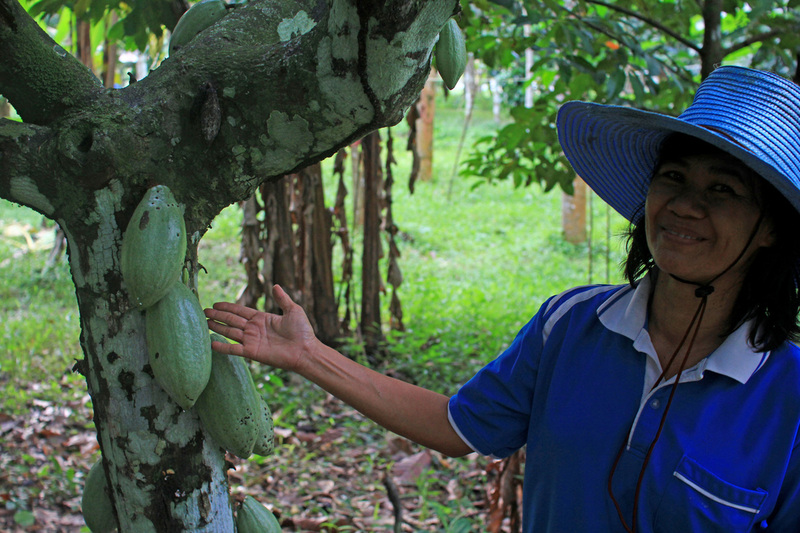 "Tree Ownership" was created and while launching the Cacao tree club in Nakhon Si Thammarat, Thailand. 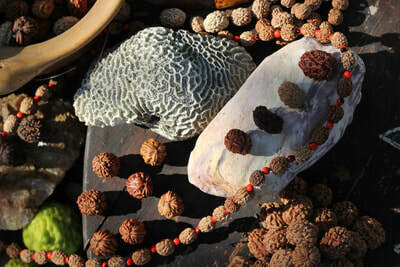 Rudraksha has now its own web-home - please visit to enjoy and share. Also we're in Bamboo-observation, look the Bambu Live. "Dear reader, please sorry -some of the website features and part of content still under slow development..."
- from the sincere stream of the founders. 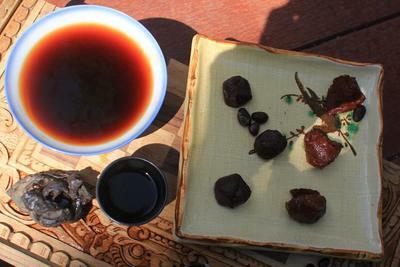 Unique opportunity to receive your own organic Cacao beans, rare priceless beads of Rudraksha or hand-made organic tea - from your own Tree or from other associated Tree Clubs. Handmade jewelry, bracelets, malas etc. Selected rare Rudrakshas or box of Rudrakshas for the healing pyramid. All gifts samples you can see in gallery. 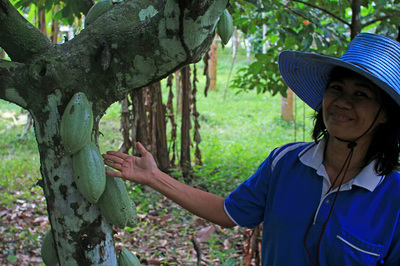 Legal signed land-papers attached to secure land under the Tree, according to the country law. Ownership includes Invitation to stay at the Tree Club, to participate in divine planting and join to other interesting Eco-campaigns and activities. One single adult Tree with land under it (120 to 204 м2). Few Trees at same Club. Tree share = 1/108 or 1/36 of a single Tree. 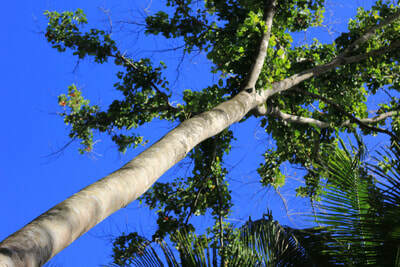 Tree can also be registered, owned and used for a group or a company. 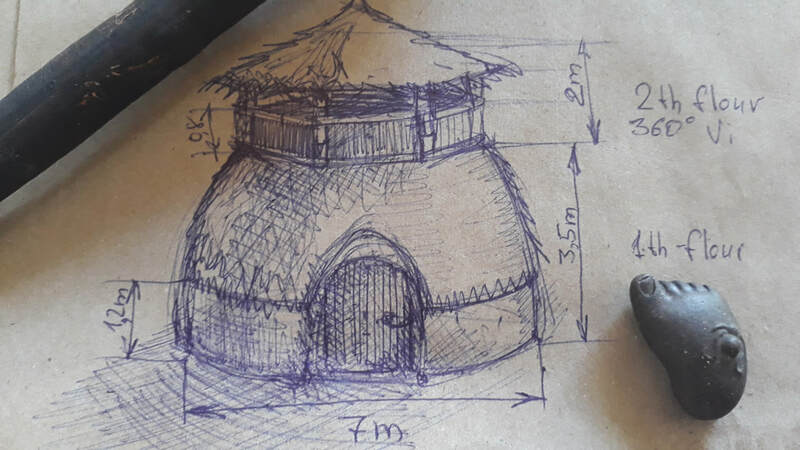 Possibility to create Bamboo/Coconut Eco-lodges such as "Meditation, Tea, Water temple" etc. option of additional planting & gardening of divine plants. "Tree Owners Club" is a way we really can SAVE the remaining valuable Trees together! 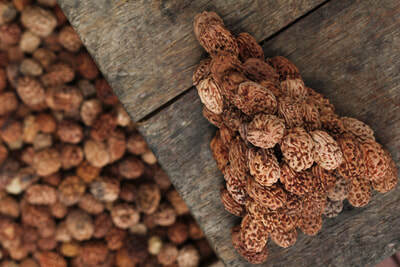 For faster launch of Rudraksha tree-saving campaign and concept of Tree Owners Club in general we created three attractive plans, divided by: 1) opportunity to own the whole Tree, 2) to have Tree's share with option to receive the according part of its harvest for lifetime, 3) or its smaller share with just one good receiving of fruits that Tree gives + benefits of Tree Club membership. 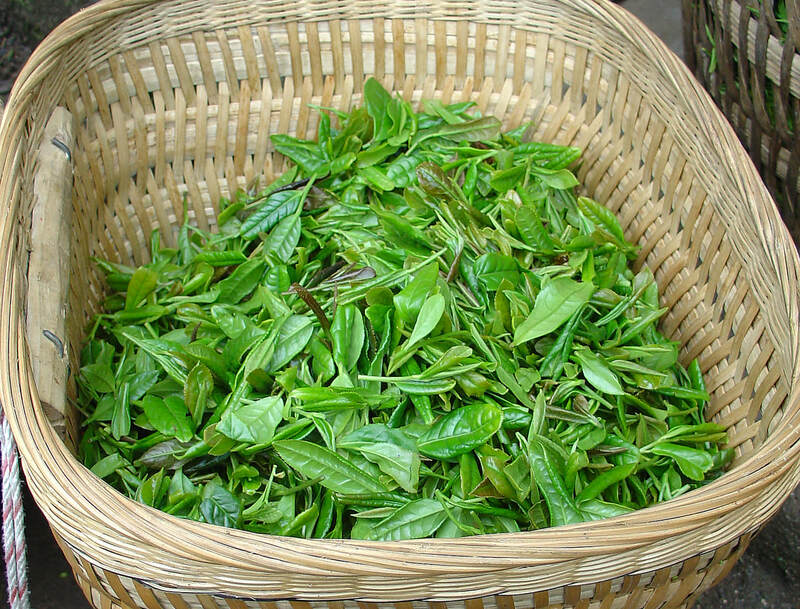 We advised that this-way marketing will allow us to buy lands with holy groves sooner, and save the trees from cutting down, what happens in a present mode & rhythm of development. To complete the proposal we divided cost of each Tree to 364, 91 or 4 = creating by that 1/364 and reserve your exact day, 1/91 with 4 days, and 1/4 - whole season of year, as a shares of whole blessed Rudraksha Tree Ownership. So you can choose for you the perfect plan as a really valuable and live present from Nature - there are just 7 Trees were prepared for release to be sold - seven auspicious Trees all together. Became a member of Tree Club now - buy a Tree or its share, and visit your Tree Club! 30-psc 4-row pyramid from Rudrakshas. Exclusive Kalos Gift-set with real gemstone Crystal. Invitation for a 1 night/year stay at the Tree Club near or even under your Tree. 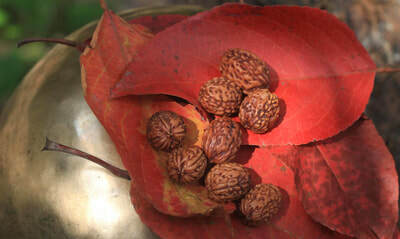 Access to Rudraksha info-library & photo stock. 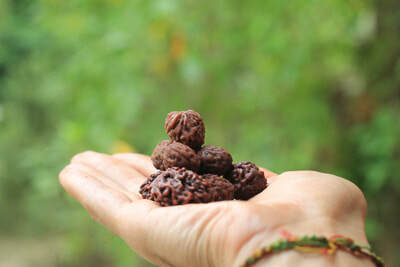 Receiving all the useful news from the Rudraksha research campaign. Box with Rudrakshas from 4-sides of the island + special jewelry for wearing with a beads from your tree. Invitation for a 3 nights free stay at the Tree Club. 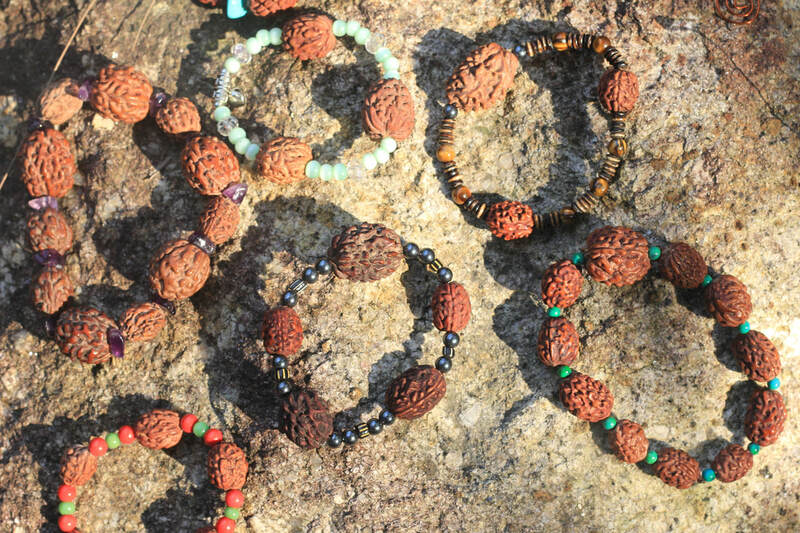 Selection of rare Rudrakshas, jewelry and Tree Club Gift-Box with gems from other trees. Invitation to stay with option to create a Eco-lodge under your tree. 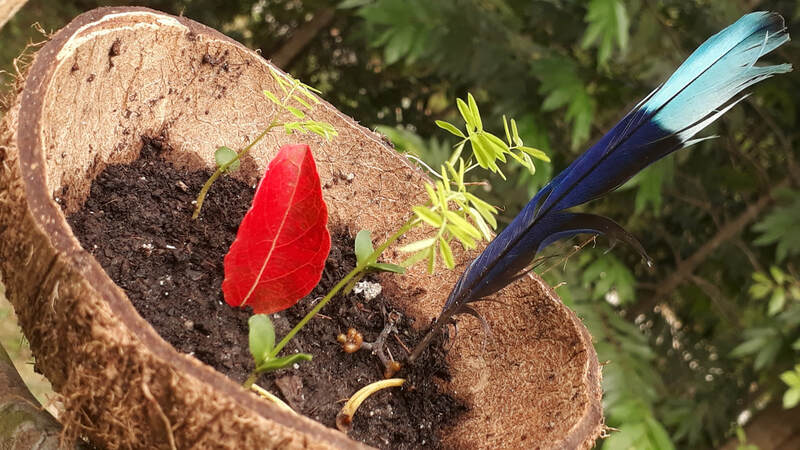 According to Vedas and Puranas - immortal ancient source of Aryan wisdom - planting a trees it is a very favorable act, founded by Supreme Goddess Herself. More than half of all the people live today in cities, playing in a various everyday games and don't have a time and space for planting a trees. So in addition to other reasons Tree Ownership (or "Tree adoption") could be the new step for some of city-dwellers to return to the Mother-Earth - to the nature. 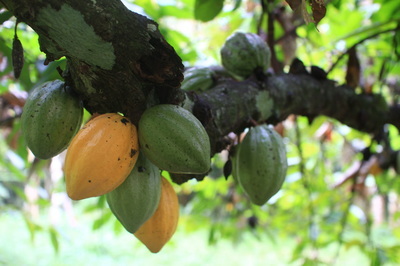 And this step appearing in its dream-alike form - by buying the harvesting tree of cacao in a paradise-looking scenery. 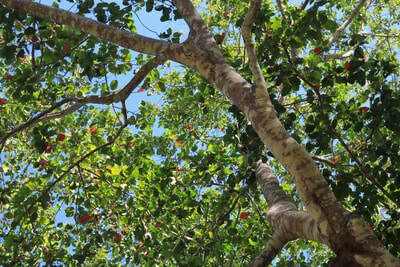 Now we run research of Rudraksha Trees on island in same area, and hope to launch new Tree Friends Club here as well! 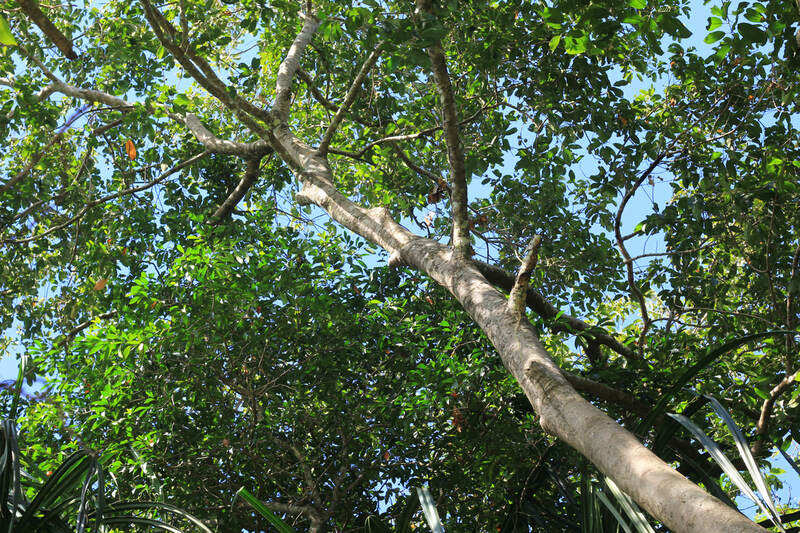 Goddess Parvati planted the Ashoka tree and honoring it as Her son. Being one of the Great Sages - Richi -She invited other 7 Rishis to run the rite to sanctify the tree. "O Goddess, only you can set-up the ritual of tree planting as a Rule. What is a reason to honour the tree as a son?" "If wise man digging the well in a village without the water - he will enjoy in Heaven as much, as much water in this well. 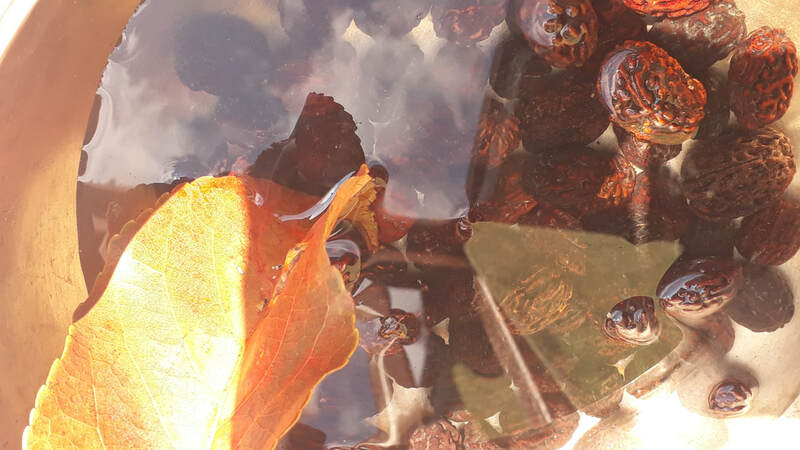 Pool is equal to 10 of same wells, pond is uqual to 10 pools. Daughter, being marry, equal to 10 ponds, and one sacrifice is same as 10 daughters. One son equal to 10 of sacrifices, and one tree equal to the 10 sons. This is my Rule, its invariable and valid in all the worlds. When the destroyed is reborning, reward for that is doubled". That's was a Birthday of Ganesha. 1. Kalos Fund, and its run according to the simple plan - to make World better through creating a new properly-balanced forms of organizations. 3. 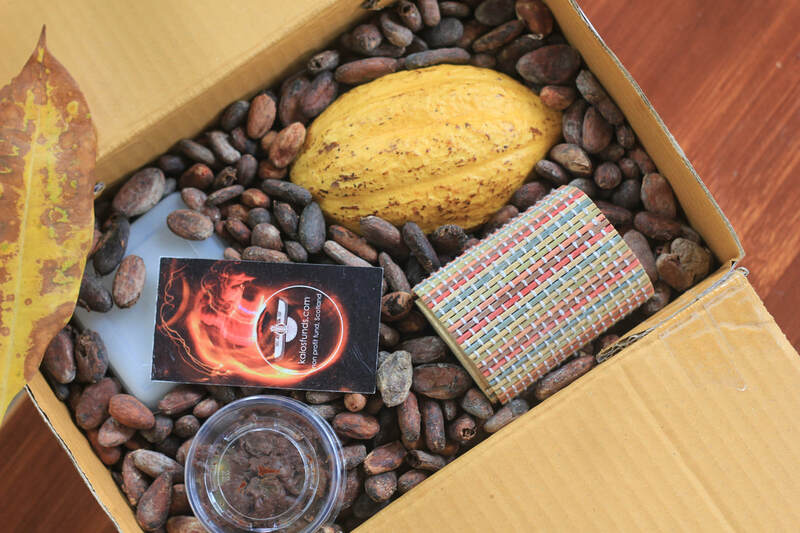 Having limited amount of trees, owners of estate supporting the Tree Owners with various additional services - up to making the chocolate from the trees of individual owners, Eco-packaging it to keep for their arrival and even send it by post nearly-worldwide (available now). So, the "Tree Owners Club" was born. From that first meeting we spent certain amount of time here in a farm - with trees and people who takes care about them. We met and talk to locals around, guests of resort, invited our friends and relatives, including some people from the island where we were staying before, with many others we shared some thoughts online (without making any social campaigns yet). People loves the plan and added some useful tips - how they want to own the tree and use it, what they want on holidays and so on. Among those who's been here at farm most are planning to come back. Others already tried the chocolate and want more. So, we collected list of notes and composed list of benefits for the buyers - on what terms our members wants to own the cocoa tree, what they need before paying for it, and what extra-services they require for total comfort. ​After some time of working on that here are two kinds of services, which provided by farm. Related to Cacao, there are many options what you will not find anywhere else - starting from location and ending with chocolate taste. 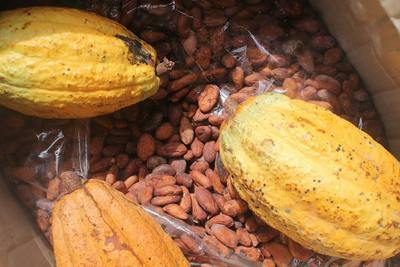 ​ For sure, the fact that our first club trees are Cacao tree - divine source of chocolate and gift from God of Venus - played its role. Now we preparing collection of 3 clubs around the country - each place has its own natural world, and the trees in each represents the whole culture story. 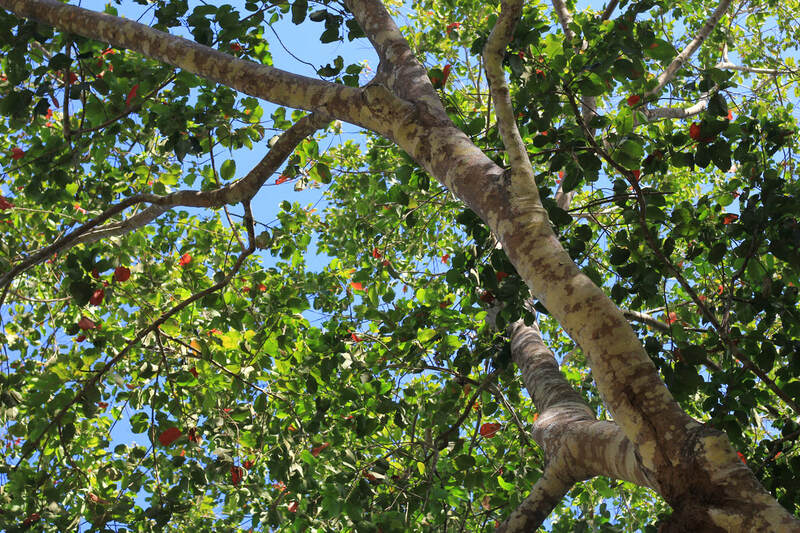 The name "Tree Ownership" based on product's legal appearance - what's written in a contract. All the trees what we presenting are not for wood or felling.